This practical guide describes the process and practical actions required for leaders and managers to find and adopt emerging technologies to address strategic needs and opportunities. This booklet describes how we merge analysis, design and engineering to develop and integrate commercial technologies with examples from our recent portfolio. 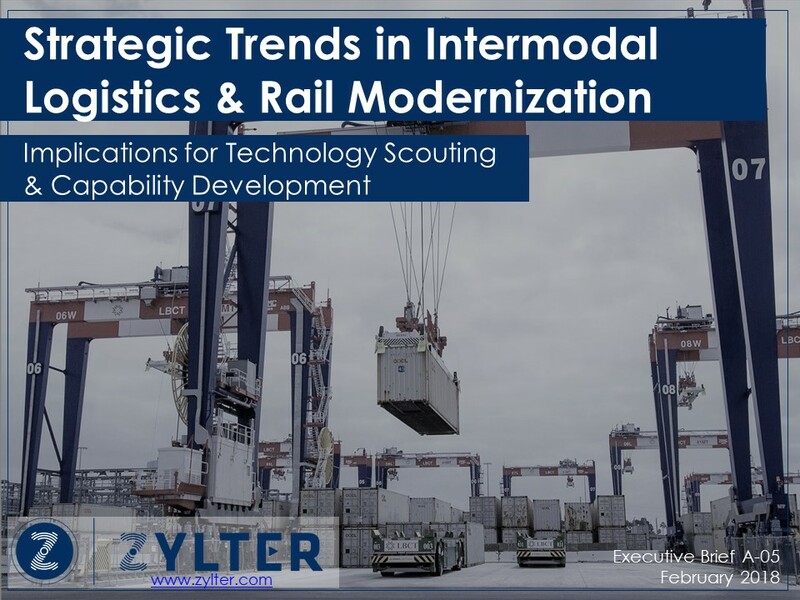 This brief summarizes key trends and opportunities for emerging technologies in logistics operations across rail and other modes of transport. Slides for AV 17 in Detroit. These slides describe each sociotechnical system (STS) aspect required to enable and support commercial use of AVs. We provide practical examples and planning considerations for each STS aspect. 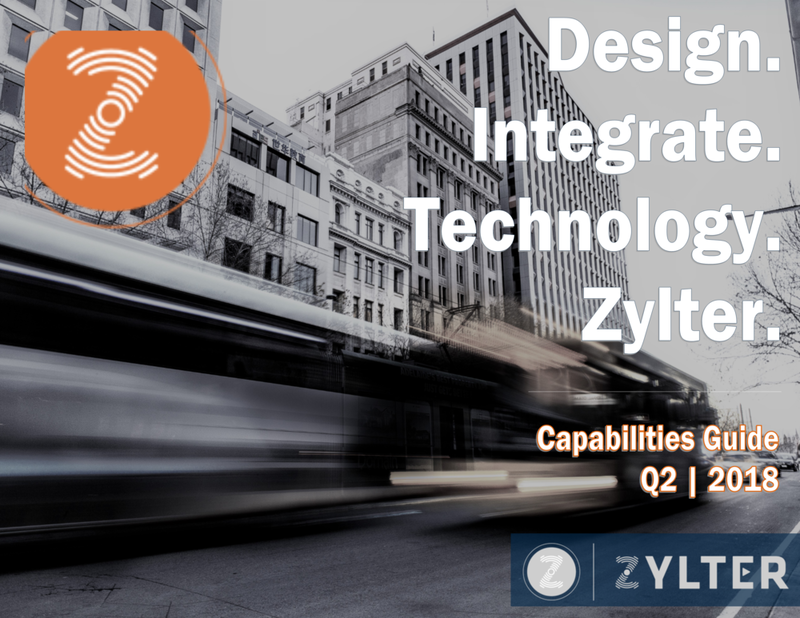 Zylter co-founder Matt Boyer addresses important questions that leaders and planners are asking about the implications of autonomous vehicles for their organizations. 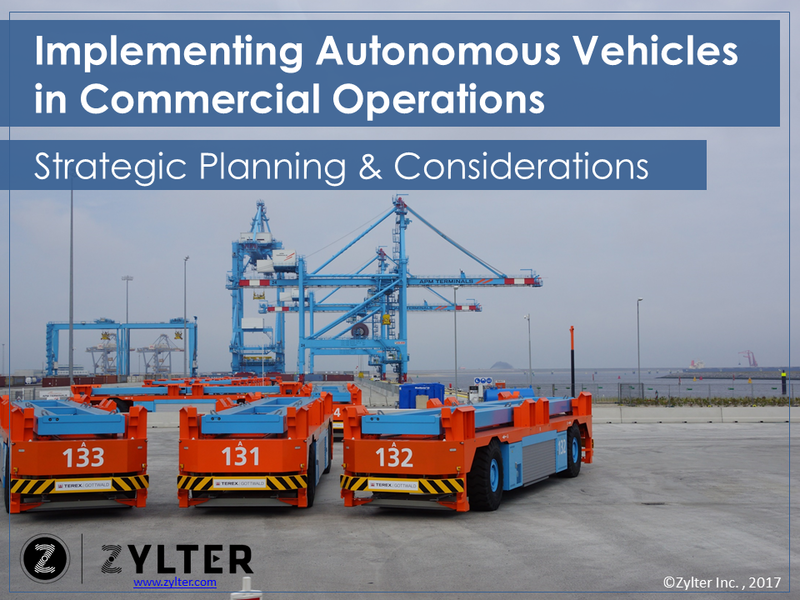 This executive brief summarizes the key trends in commercial adoption of autonomous vehicles and their strategic implications executives are seeking to address. 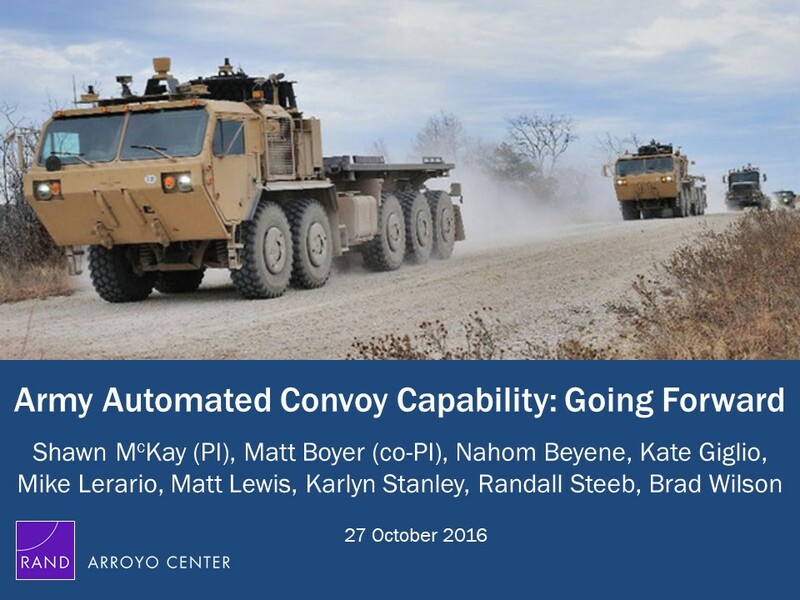 Results from a 2016 RAND study led by Zylter co-founder Matt Boyer to identify key technical and integration requirements for the Army's autonomous truck program. A 2016 RAND presentation by Zylter co-founder Matt Boyer. 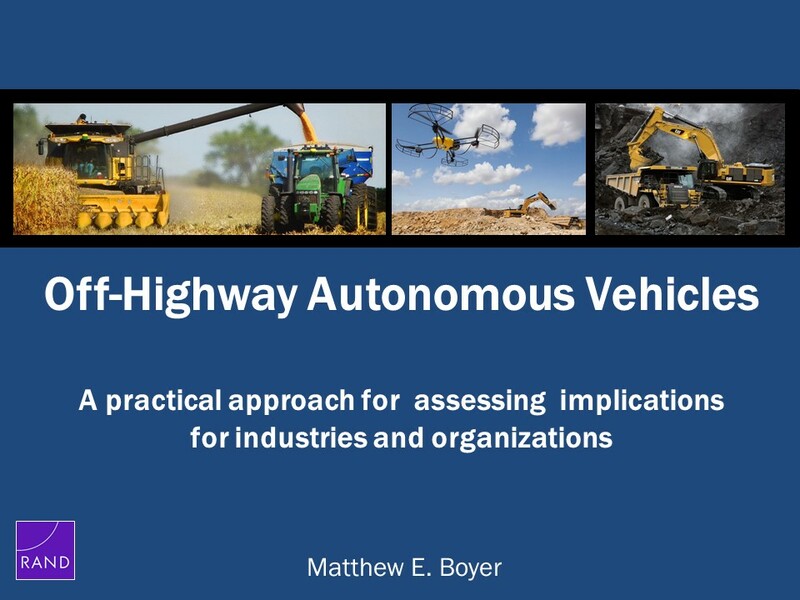 This presentation provides a detailed guide for organizations to identify their key opportunities and considerations for using autonomous vehicles (AVs), especially off-highway AVs. This 2013 RAND study led by Zylter co-founder Matt Boyer identifies the use cases, user needs and design requirements for U.S. Army tactical vehicles under 5,500 pounds. This report includes detailed analysis of requirement, motivating factors for use and program development recommendations.